In the small Benelux country of Belgium, the national football team, Les Diables Rouges (the Red Devils), is doing what the countless politicians are failing to do. 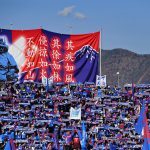 The team, who in December 2015 became ranked number one in the world, albeit in a flawed system to say the least, is bringing a nation and more specifically two different regions closer together. It may not be to the same extent that Didier Drogba and his team-mates alleviated a civil war in the Ivory Coast but it is yet another illustration of the unifying nature of football, bringing people, communities and in this case, a nation together. The two contrasting regions are the Dutch-speaking region of Flanders in the north and the French-speaking area of Wallonia in the south. In the south-east of the county, straddling the German border, lies a small German-speaking community of 75,000 making up less than a percent of the total population. During the 2014 World Cup a sense of nationalism was rediscovered in Belgium. More Belgian tricolours were flying than ever before, with city squares awash with black, yellow and red. Cycling fans tuning into the biggest races in the world such as Ronde von Vlandeeren and Liège-Bastogne-Liège oftentimes would only see the Flemish flag adorning the roadside. It was the Red Devils’ first major tournament since the 2002 World Cup in Japan and South Korea. Indeed, the current manager, Marc Wilmots, was captain of that squad and netted a disallowed goal against Brazil in a last-16 tie. In Brazil, he guided his side to the quarter-finals where they succumbed to eventual runners-up Argentina. The majority of the Belgian team ply their trade in the English Premier League. Belgians predominantly line out for the best sides and of the last five winners of the English Premier League, three of them have included Belgians, oftentimes starring, in the cases of Vincent Kompany at Manchester City and Eden Hazard at Chelsea. The squad contains that many English-based players that a full side could theoretically take to the field. In all there are 15 Belgians currently operating in the Premier League. This is in contrast to 2008 when only two Belgians were lining out in England, Kompany and Carl Hoefkens, a full-back with West Brom at the time. 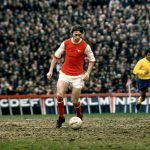 Their presence at the top table of English football underlies the fact that Belgium are a force to be reckoned with; others star for European sides such as Atlético Madrid, Barcelona, AS Roma and Zenit Saint Petersburg. The simple fact that two communities within one country speak different languages doesn’t begin to describe the complexities at play in Belgium. This language chasm has been in place since the fifth century. As well as that, Flemings are Germanic in origin while Walloons are Celtic. Belgium became independent from the United Kingdom of the Netherlands after an opera-inspired revolt on 4 October 1830. They had at one time or another been under the control of the Habsburg dynasty and a Napoleon-led France. Walloons and Flemings joined forces as they formed a new nation, and the following year Léopold was enshrined as the first King of Belgium. Belgium was and still remains to this day a monarchy. The fledgling state was governed by a Francophone bourgeoisie hailing from both communities. French was installed as the sole official language of the state – that is to say the language of schools, of administration and of the courts. Flemish and Walloon, a dialect of Latin spoken in Wallonia were only considered patois (dialects) and were not properly recognised. A similar policy had occurred in France where local or regional languages were effectively outlawed in favour of the national language. This rankled with the Flemish people and they were looked down upon because they were unable to speak French fluently. The publication of Hendrik Conscience’s The Lion of Flanders in 1838 became the touchstone for the Flemish Movement. Their cause centred around greater language rights. From 1873 Dutch was allowed in the courts and the wishes of the Flemish people were granted little by little. The prestige of the French language was also disintegrating at this time as Napoleon III – Napoleon Bonaparte’s nephew – led the French in defeat at the Battle of Sédan and subsequently the Franco-Prussian War. By 1898 Dutch was on par with French – on paper, anyway – but practically speaking it had some way to go. Universal suffrage was granted in 1893, which meant political parties had to cater for the needs of Dutch speakers and it saw the first Flemish speaking political party founded, the Flemish People’s Party (VVB). During World War One, the Flemish people, with the help of the Germans, set up the first all-Dutch speaking university in Ghent. In the aftermath of the Great War, Belgium, thanks to the Treaty of Versailles, acquired the German-speaking regions in the east including the towns of Eupen, Malmedy and St. Vith. It would not be until 1980 that German was recognised as an official language of Belgium. Policies introduced in 1932 and 1935 saw the introduction of monolingualism in Belgium, meaning French was the only language used in Wallonia and Dutch in Flanders. Brussels was to be a bilingual city but Belgium now had a policy of dual languages. Collaboration did occur between certain Flemish far-right individuals and the Nazis during the Second World War and this has been an area of conflict between the two communities. Collaboration by the Flemish people was punished by prison sentences and death, while economic collaboration went unpunished in the south of the country. With the implementation of the Language Act of November 1962, the landscape of Belgium altered significantly. A language border was implemented running from Ypres in the west to Visé in the east, along the Dutch border. In 1970 Belgium was divided into three communities based on the language used, whether it be French, Dutch or German. Communities are to this day responsible for schooling, cultural affairs, family affairs and youth policies. By 1980 the state was divided into three regions: Wallonia, Flanders and Brussels Capital. The regions coordinated economic development, agriculture and housing. These two initiatives meant Belgium was now a federal state. It also meant that political parties split across linguistic lines – along with many other things – and nowadays in Belgium there are no national newspapers, television channels or radio channels. It also means that a Walloon cannot vote for a Flemish politician and vice versa. In the 1980s the Flemish separatist movement began to gain momentum. The New Alliance Flemish (Nieuw-Vlaamse Alliantie) was formed with its main objective being the separation of Flanders from Belgium. This aim appeared to come to fruition in December 2006 when French language news channel RTBF interrupted their regular programming with breaking news. It announced that Flanders had declared their independence from Belgium. Many Belgians believed this, and those in foreign consulates contacted their home countries with the news. The news bulletin turned out to be a hoax, the message “Ceci est une fiction” could be seen during the transmission, an obvious reference to the work of the Belgian surrealist Magritte. The aim was to create debate within the country over the state of the nation. In 2010 Belgium went 589 days – a world record – without a government. It was only through the help of King Albert that a compromise was reached and the French-speaking Elio di Rupio of the Socialist Party was appointed Prime Minister. Fluent in all three official languages of the state and married to a Fleming; one could say that the Das Kampfschwein (The War Pig) – as Wilmots is often known – is the poster-boy of the modern Belgian Republic. The motto of Belgium, as seen on the coats of arms, is L’union fait la force, which translates to ‘Strength in Unity’. There has, however, been Flemish opposition to the unified Red Devils in the past. Filip Dewinter of the Flemish Interest party, in the aftermath of their failure to qualify for Euro 2008, penned a piece entitled, ‘Red Devils Don’t Fight for their Country, Nation, People or Colours’. Some Flemish have also criticised the team selection and suggested that Francophones are selected regardless of their ability in preference to Flemish players. In 2007, Dewinter also started a petition calling for a team of “Flemish Lions instead of the Red Devils”. The reason for their willingness to separate comes down to simple economics. Wallonia prospered in the 19th century due to a thriving heavy industry. Liège was known as ‘La Cité Ardente’ (The Fervent City) given the high number of steel and metallurgical plants around the city. By the 1960s, the heavy industry began to decline as a consequence of increased competition from the German Ruhr. This meant the roles in Belgium were reversed. Flanders, with its coastlines and port facilities, became richer and an epicentre of oil and gas, while Antwerp established itself as one of the biggest ports in Europe. In late 2005 a manifesto for an independent Flanders within Europe was published by members of the Flemish business and academic community outlining their desire to separate. One of the main reasons for this separatist sentiment is the feeling that Flanders is being dragged down by Wallonia. The unemployment rate in Wallonia is now twice as high as in the south of the country. Belgium also has one of the highest net debt in the Eurozone at just over 100 percent of its GDP. However, with recent state reform there is less money flowing from Flanders to Wallonia. A Marshall Plan was launched by the Walloon government in 2006 and some €5 billion has been invested in the region. If we look back to the previous high point of Belgian football, when they lost to Maradona’s Argentina in the semi-finals of the 1986 World Cup, the government fell the following year. Not only are the Red Devils a mixture of Flemish and Walloon players but it is also the presence of players with foreign origins. Kompany is a prime example; the son of a Congolese father and Belgian mother who happens to be fluent in both Dutch and French, and a possible future in politics is touted. The fathers of strikers Divock Origi and Romelu Lukaku played international football for Kenya and Zaire, the present day Democratic of Congo, respectively. 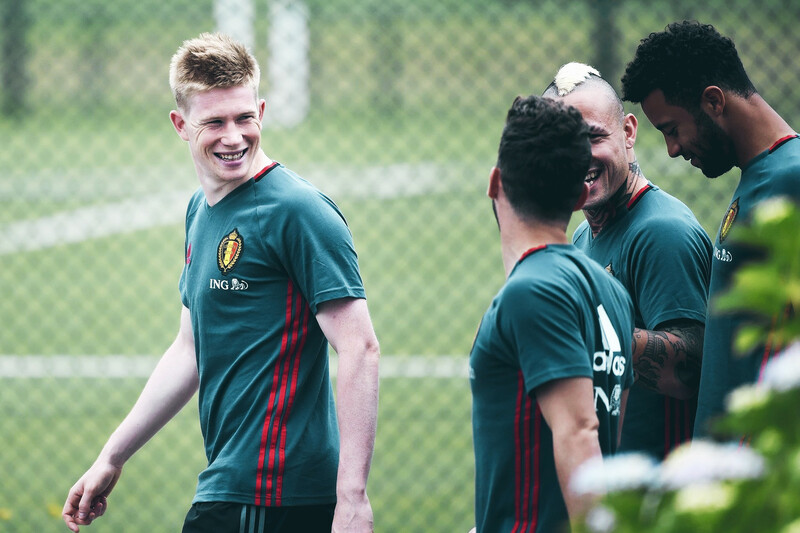 Many other players have mixed origins, such as Axel Witsel, Marouane Fellaini, Radja Nainggolan and Kevin de Bruyne. It is reminiscent of the French World Cup-winning side of 1998 dubbed “Black Blanc Beur” due to their mixed group of players, led by Algerian-born Zinedine Zidane. Although they fell at the quarter-finals stage, this progression was seen as a success. It showed that by working together great things could be achieved. 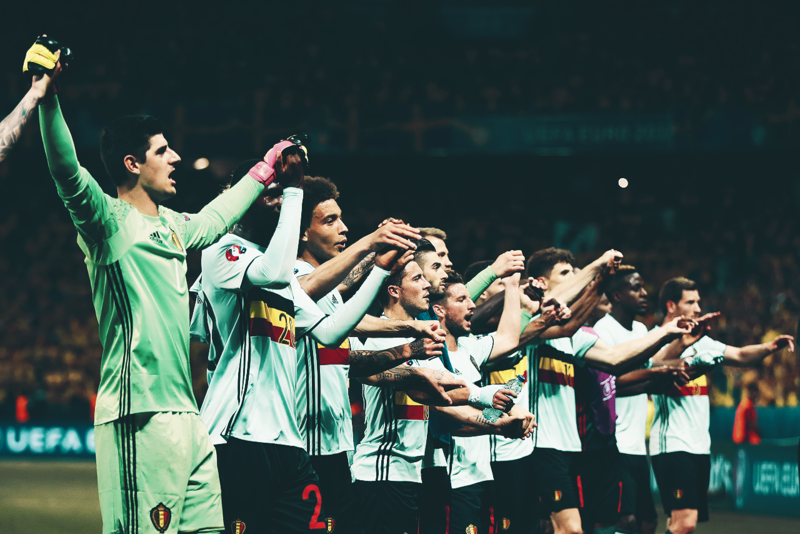 Belgium qualified top of their group along with Wales for the 2016 Euros. During the qualifying campaign there was a marked social media presence as the hash tag #TousEnsemble (#AllTogether) was used to signify the unity of the team and the country. Even with the success of the nation team, it took until October 2014 to form a government led by Francophone Charles Michel of the Mouvement Réformateur group. There is a phrase in French – Compromis à la Belge – meaning a Belgian compromise, which illustrates the fact that although there may be difference between two groups there is always the possibility of compromise and unity. Fortunately, while the political scene continues to wind and unwind, the national team is doing its best to keep the people of Belgium unified.